All are welcome...and don't forget to bring your guns! fab·ri·cate invent or concoct (something), typically with deceitful intent. 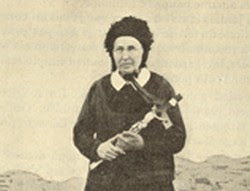 Did Mélanie fabricate the 1879 La Salette as some self-proclaimed prophets say? Ann's the one lying on the floor! 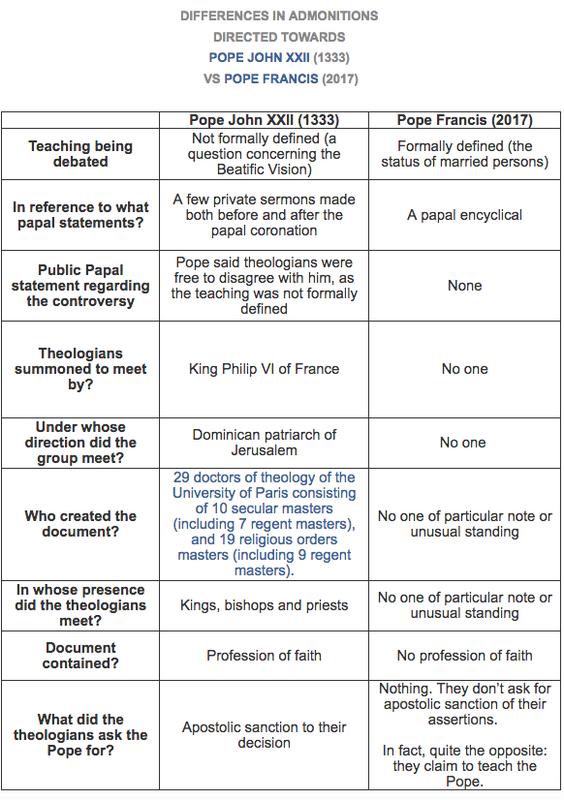 Folly Of 43 Little Lay Emperors Compare Pope Francis To John XXII? Where's The Holy Roman Emperor In All This? 43 lay scholars accuse Pope Francis of Heresy. 70% of the signatories are lay folk (even a couple of women!). All of the laity never took vows except for marriage (and that can be undone for $700). These laymen have gone out on their own - not called by a higher authority other than themselves. The modern laity are nuts. They have no voice in the Church - because they are lay folk. The Correctio Filialis De Haeresibus Propagatis carries no authority. If Mélanie Fabricated The 1879 La Salette Message Then Please Explain MSNBC Lawrence O'Donnell Hearing Voices! STOP THE HAMMERING! Say The Black Do The Red Wear The Orange! 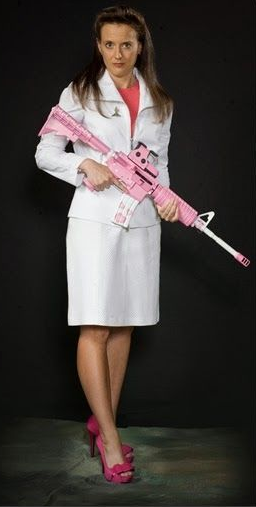 How Long Before Father John Zuhlsdorf Is Arrested For Firearms Violations? Apparently Fr. Z is not going to give up his twisted love for guns anytime soon. Now he begs priests to take up firearms training in order to be able to administer the Sacraments. Apparently carrying a handgun is the only way to properly say mass - hear confessions - baptize etc. Mexico: 7.1 Earthquake! 1000 DEAD! On The Feast Day Of Our Lady Of La Salette! Originally Posted March 10, 2015: Truth Comes Out About Vox Cantoris (Dave Domet) A Ticking Time Bomb! This website of a young Catholic I know;and Domet has been slandering on the web for years is worth visiting. It might educate people to the truth. Here is what this young man has to say. He is right. This case is not as cut and dry as you think. It’s amazing that those who know little or nothing are writing or commenting here. On Feast Of Our Lady Of La Salette! Illinois Earthquake Hits 150 Miles South Of Notre Dame de La Salette Chapel Just Before Mass! Malapert and Shakespeare Malapert debuted in English in the 14th century, was a favorite of Shakespeare, and is still used sporadically today. The prefix mal-, meaning "bad" or "badly" and deriving from the Latin malus, is found in many English words, including "malevolent" and "malefactor." The second half of "malapert" comes from the Middle English apert, meaning "open" or "frank." "Apert" further derives from the Latin word"apertus" ("open"), which gave us our noun "aperture" (meaning "an opening"). Putting the two halves together gives us a word that describes someone or something that is open or honest in a bad way-that is, a way that is bold or rude. The noun "malapert" also exists, and means "a bold or impudent person." "Fight, Children Of Light, You, The Few Who Can See"
Remember, Our Lady of La Salette, true Mother of Sorrows, the tears which thou did shed for me on Calvary. Be mindful also of the unceasing care which thou does exercise to screen me from the Justice of God, and consider whether thou can now abandon thy child, for whom thou hast done so much. Inspired by this consoling thought, I come to cast myself at thy feet, in spite of my infidelities and ingratitude. Reject not my prayer, O Virgin of reconciliation, convert me, obtain for me the grace to love Jesus Christ above all things and to console thee too by living a holy life, in order that one day I may be able to see thee in Heaven. Should a seminary headline a homosexualist activist as a speaker? 'Call' does not just mean to pick up the phone. Fr. Z is an idiot. Prayer for God's protection Nothing of this sort can happen without God's grace. We must continue to pray. Frequent the sacraments and pray the Rosary daily. Mention these threats by name when you pray. Social media Martin himself alluded to that as he blamed "far right sites" for stopping his appearances. Please watch not only the sites he mentioned but smaller sites as well. Often it is the smaller sites that will carry news pertaining to their localities; these also deserve the attention of faithful Catholics local to those areas. The mainstream media (including diocesan publications and faux-katholic liberal rags) are not reliable sources of information. Of course when you see topics such as these, pass them along your own social sites and email lists. Fr Z. carries a gun while saying Mass. One could question - is it one gun? Or two guns? How many guns does Fr. Z have under his vestments while he is saying Mass? How many? Fr. Z is a dangerous heretic. Fr. Z. will murder some innocent soul soon. Only A heretic would carrying a gun under his vestments while saying mass. Fr. Z also urges like minded priests to carry guns while saying Mass. Only a heretical Priest would carry a gun while saying mass. All pics are posted by Fr. Z. After Mass on Sunday a couple guys from the parish offered to take me to the range to stop some evil, nefarious paper. One of the guys had a Smith Wesson .50 caliber revolver!It was like shooting a small canon… no, that’s not quite right… a small cannon. Nice flash. Fr Z.
Fr. Martin S.J. Got Shot Down By Father. Z Gary Voris & Lifesite News.. The following is the state of Fr. Martin and was taken from Fr Z's site and the red highlighted comments are from Fr. Z. himself.